I know nothing about the ethno-ecclesial dispute in the Nigerian Diocese of Ahiara beyond what can be found in news reports and so offer no comment on it. Regarding the remarkable demands made by Pope Francis against the clergy of that diocese, the following points might facilitate informed discussion thereof. 1. Popes have “supreme, full, immediate, and universal ordinary power in the Church” which they are “always able to exercise freely”.Canon 331. The authority of the pope to issue demands such as those linked above is not in question. 2. Phrasing in papal documents must be understood in light of how such phrases are typically understood in the Church. Thus, Francis’ demand for “total obedience” must not be read literally (the implications of such literality being too bizarre to contemplate) but rather, requires of clergy only, but completely, that obedience which is already required of them in light of, say, Canon 273. Accepting a papally-appointed bishop (Canon 377) unquestionably falls within this obligation, even if the pope did not require that acceptance to be included in a cleric’s letter. 3. Francis’ demand that every cleric incardinated in Ahiara send a submission letter asking “for forgiveness” might grate on those who have not opposed the appointment of the new bishop and, in my view, they should feel free to offer that observation in their letter. But the obligation on all clergy to send a submission letter seems clear. 4. The 30-day period in which to send the letter is not unreasonable but would still need to be assessed according to the usual norms on time (Canons 200-203). 5. 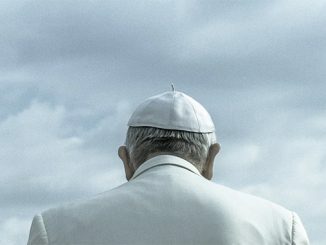 The pope’s threat that a cleric’s failure to comply with his specific demand for a submission letter (as opposed to, say, a cleric’s simply accepting the designated bishop) will result in two consequences, suspension a divinis and loss of office, is problematic. Making these two canonical consequences latae sententiae (automatic) further complicates them. As usual. Assuming that the pope’s June 8 statement amounts to a penal precept (Canons 49, 1314, 1319)—to which, of course, the ‘affirmative defenses’ against incurring sanctions listed in Canons 1323 and 1324would apply—let’s assume that a cleric is liable to some sanction under it: What then? Arguably, such a cleric would be suspended, but, suspension (as its name implies), while it prohibits acting in one’s office, does notdeprive one of the office itself. Canon 1333. Moreover, most acts as might be performed by a cleric who is automatically suspended, though illicit (reason enough to avoid performing them), are nevertheless valid absent a subsequent declaratory sentence (which is not mentioned in the pope’s statement). Finally, suspended clerics remain eligible for diocesan and religious institutional support, etc. 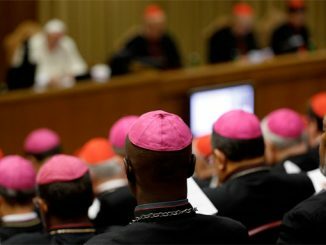 In short, canonical suspension, which might be likened to administrative leave with pay, sounds more grievous than, strictly speaking, it practically is for a cleric (setting aside the inconvenience that the faithful suffer when their clergy are prohibited from pastoral ministry—another consequence of suspension). Perhaps these factors led the pope to add the threat of loss of office itself to the threat of mere suspension from office. Canon law treats actual loss of ecclesiastical office (such as pastor, episcopal vicar, tribunal judge, and so on) for crime as an “expiatory” penalty and, as an expiatory (not a “medicinal”) penalty, loss of office cannot be incurred automatically. Canon 1336. 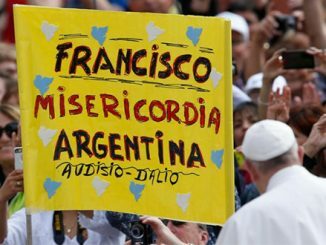 I take, therefore, Francis’ threat of loss of office to be a blunt warning about what he is prepared to do in the future, should Ahiara clergy not send the letter demanded by the pope, rather than—pace Canons 18, 194, 221, 1321, 1341, and so on—reading it as some sort of implicit derogation from several canons. From here this crisis could go in a couple of different directions canonically and speculation on those directions is premature, but the above should suffice to inform discussion of the matter as it now stands. Hmmmm, not feeling the mercy here. Another example of poor leadership. He has a legitimate problem but his ego makes it worse. I am pope! I am jesuit! You are children! I will be obeyed! 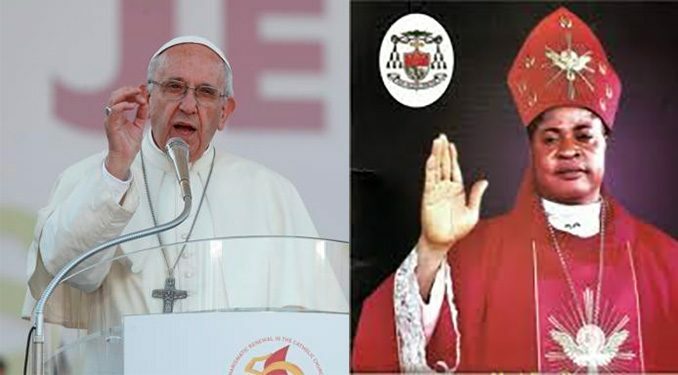 the nunciature in nigeria must quickly dissociate the holy father from this so-called ultimatum because that was not what transpired in the one-sided dialogue with the pontiff. it is sad that the pope has been maligned by the religious leaders in Nigeria who think they must act like their political counterparts; lead with intimidation and harassment. the pope should go down to Ahiara diocese and listen to the catholic faithfuls there not just receiving a one sided delegate without any representatives of the Catholics from Ahiara. No one has listened to the genuine questions raised by the Ahiara catholics. No one is listening to them. all we hear is treat to the people of God who have been denied sacraments for over five years. sad. The unity of 99.5 percent of the Catholic faithful in the refusal of this appointment is something the Holy Father should please look into. Even if the priests of Ahiara apologise to the Pope because of the Altimatum, what of the laity? They should equally recieve a fatherly listening ear and be taken serious. Have people no rights again to stand for their demand. I really can not associate the Holy Father with this kind Altimatum. Let those Cardinals and Bishops not soil our Holy Fathers name. The unity of 99.5 percent of the Catholic faithful in the refusal of this appointment is something the Holy Father should please look into. Even if the priests of Ahiara apologise to the Pope because of the Altimatum, what of the laity? They should equally recieve a fatherly listening ear and be taken serious. Have people no rights again to stand for their demand. I really can not associate the Holy Father with this kind of Altimatum. Let those Cardinals and Bishops not soil our Holy Fathers name. Nigeria is one of those formerly colonial countries that was cobbled together by Westerners without regard to tribal boundaries, religion, politics or ethnicity. One would hope that the Universal Church and its clergy could rise above these man made divisions to seek spiritual unity.